The barbering industry has blown up over the past few years, with barbershops popping up all over the place. We chatted to the legendary Paul Serville about industry trends and how to be part of this rising trade. What trends are you liking for men currently? Bradley Cooper in A Star is Born – dirty rock and roll hair, that’s on a personal level. But in barbering, I really like the slick fresh cuts worn on men by many walks of life, i.e. men in professional suits and younger students. What go-to men’s hairstyle will never get old? A fresh cut, shorter on the sides and longer on top. I don’t think that will ever go out of fashion, but it has to be blended. How do you feel about the barbering industry in NZ? I think it’s becoming such a cool industry to be involved in and they are making themselves such a great culture. What can an aspiring barber expect to get out of training at Servilles Academy? 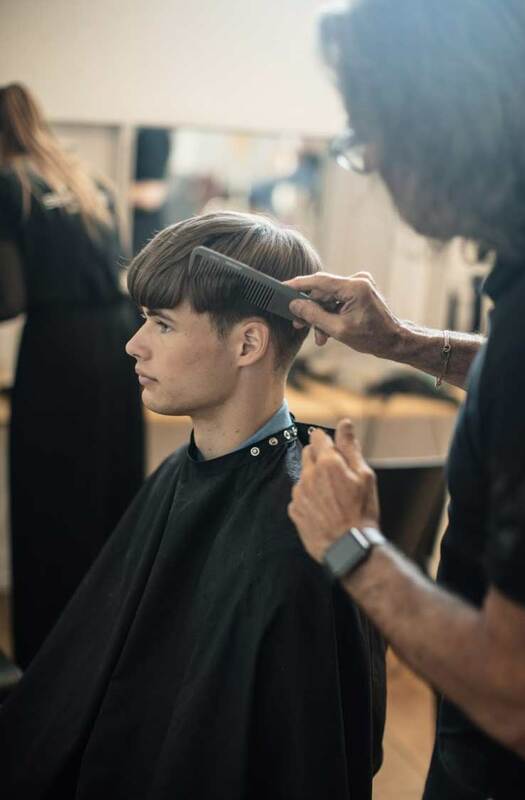 Students will learn men’s clippering, great use of scissors, razoring, beard shaping and anything to do with hair from the neck up. After training with us, they’re out in the industry earning in a barber shop, which seem to be popping up on every corner!